Before you hire a car, it´s important that you do it correctly. Don´t make a mistake; here we explain how to avoid 7 common fails. Be aware that while Goldcar tries to accommodate as wider age range of drivers as possible there are some limitations that you should be aware of before trying to book a car with Goldcar. Firstly, there is no upper age limit for hiring with Goldcar (except in our Malta office where the upper limit is 75 years old). Younger drivers must be at least twenty one years old and have held a full licence for at least one year to be able to hire a car with Goldcar. 2. No driving licence, or the incorrect one. To hire a car with Goldcar in Spain drivers from foreign countries must hold the correct licence. Take a look at our website, www.goldcar.es and check out the terms and conditions where you’ll find all the things you should know about hiring a car in Spain with Goldcar. Be sure to check you have the correct credentials for your Goldcar car hire booking. Have you booked a manual car but are only permitted to drive automatics? It’s well worth checking the details so your car hire booking goes as smoothly as possible and you’ll have avoided another of the reasons why a car hire booking can fail. 3. Have you got a valid credit card in your name? If you are planning to rent a car with Goldcar you will need to make sure you have a valid credit card, and that it is valid for when you will be arriving to collect the car and begin driving a hire car in Spain. Goldcar must have the same credit card presented at the time of collection and the card holders name must be the same as that of the reservation. The card will also be needed to hold a deposit in the case of if you do not choose to take out the fully comprehensive cover, which, for a small supplement gives drivers the peace of mind that they are fully covered while driving. Make sure these details are correct and you’ll avoid one of the common fails of renting a car in Spain. This point is well worth noting if you have plans to travel and you book a car with Goldcar. There would be nothing worse than, having planned a driving holiday by hiring a car in Spain, arriving at your destination and discovering that you cannot take the car out of the country. This could ruin all your carefully worked out plans and while Goldcar strives to be as flexible as possible to meet it’s clients’ needs, at some offices it is just not possible. You can check on the Goldcar website at: www.goldcar.es where you’ll see all the available options for driving a hire car in Spain. One of the things you should know about hiring a car in Spain is that it is popular, very popular, and therefore at peak times there could be the possibility of not getting the car you want, or no car at all! 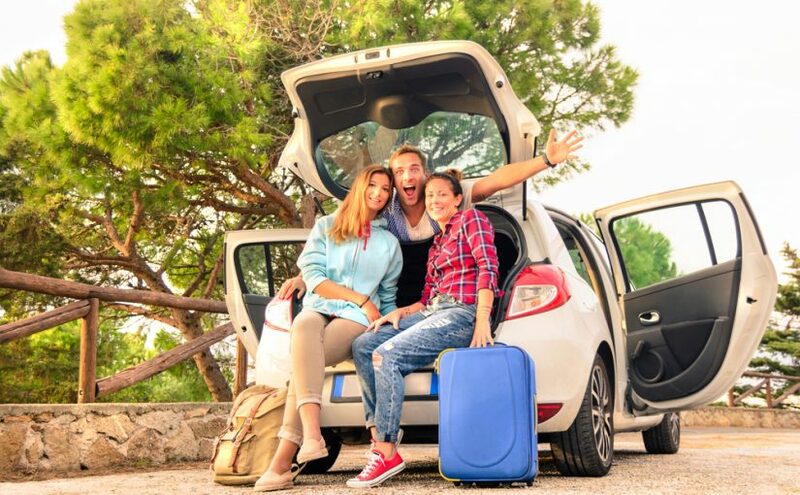 Although Goldcar has an annually renewed fleet of over 50,000 vehicles it is also the market leader for holiday car hire in Spain and therefore a popular choice for holiday makers renting a car in Spain. Book early and be assured of getting the type of car you want, and need, for your holiday. That way you can relax and plan the rest of the trip. By booking at the last minute you may well reduce your options, and possibly pay more as there are only larger vehicles available. Avoid another of the common fails by getting organised and arrange your Goldcar car hire booking as soon as you can. If you wish to rent a car this is something that must be done at the time your Goldcar booking or the reservation will fail and you will not have successfully booked a vehicle. Many people fall in to the trap and think that their own personal vehicle cover will be sufficient in Spain for the use of a hire car with Goldcar. At Goldcar we insist that drivers at least take out our obligatory cover, and leave a deposit on their credit card, in case of damage to the vehicle. Many other cover options are available to suit your needs. While Goldcar works hard to make booking a hire car as simple as possible it is important that the hirer is aware of all of the terms and conditions that must be agreed to before a reservation can be processed. Failure to agree will mean that the booking will be automatically cancelled. This is an important point once again and could be the difference between a successful booking and a failed one. Although we all like a bargain, as we often find out, you really do get what you pay for. Goldcar are in the optimal position of being able to offer the very latest model cars at some of the most competitive prices on the market and although, at times, other companies may offer ‘amazing’ prices it may not be the full and professional service offered by Goldcar who are a market leader in the car hire business for tourists and have over 40 years experience in the business. Go to our website at: www.goldcar.es and you can see the comprehensive car hire service offered by the company and check out exactly what you are paying for, and choose any of the numerous optional extras you may like to include too. At Goldcar you really do get what you pay for. Before you hire a car, it´s important that you know how to do it well. Don´t make mistakes, we say you witch 7 fails use to do people the most.